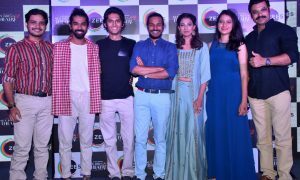 ZEE5’s Zero KMS starring Naseeruddin Shah, which also marks his debut in the digital space has already become the talk of the town since its launch 6 days ago. The series has been loved by all and within a week of its launch, it has garnered a staggering 9.6 rating on IMDB. Directed by Q, Zero KMS is a hard-hitting action-packed thriller, which forces one to take notice of issues that are plaguing the society. Missing people, flesh trade and drug abuse are rampant issues prevalent in societies, and the series tackles the very same.